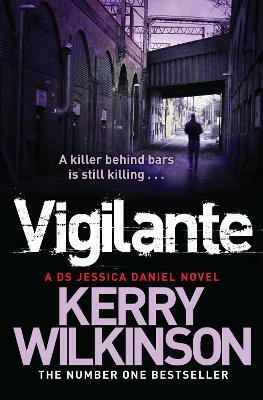 Following his bestselling sensation, Locked In, Vigilante is Kerry Wilkinson's unputdownable second book in the Jessica Daniel series. Dead bodies are piling up for Detective Sergeant Jessica Daniel. Usually when a serial killer is on the loose, the pressure would be building to find the perpetrator but the victims are all hardened criminals themselves. The national media can't believe their luck with an apparent vigilante on the streets, while Jessica's new boss seems grateful someone else is doing their job for them. But things aren't so straightforward when forensics matches blood from the apparent killer to a man already behind bars. Kerry Wilkinson is something of an accidental author. His debut, Locked In, the first title in the detective Jessica Daniel series, was written as a challenge to himself but, after self-publishing, it became a UK number one bestseller within three months of release. Kerry then went on to have more success with the second and third titles in the series, Vigilante and The Woman in Black. Think of the Children is the fourth gripping Jessica Daniel title.